MapsTab provides map and direction utilities on your new tab page. Tired of getting lost, driving to dead end streets, or simply sitting in traffic? 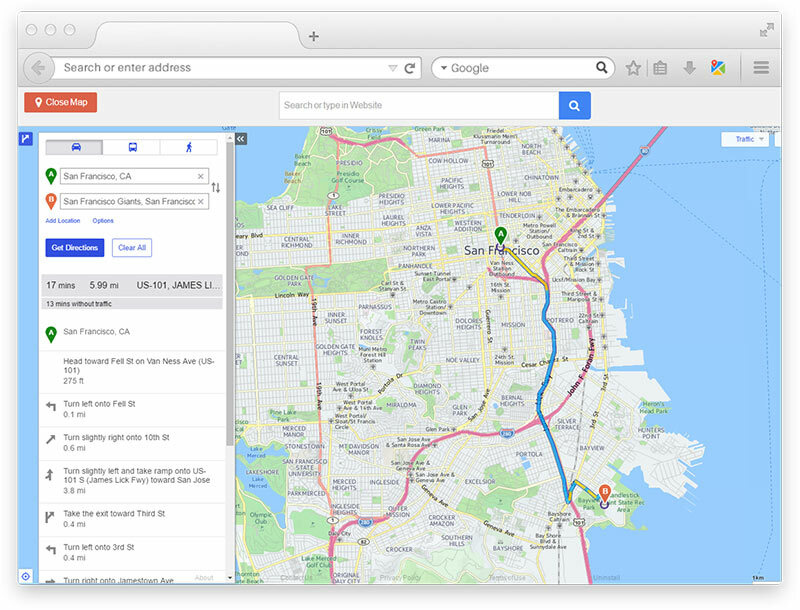 MyMapsTabs provides the BEST directions and maps available on the web. All you have to do is enter your starting location and ending location and we will calculate the quickest route to your destination with easy to read turn by turn directions.You can be sure that you will find the fastest route, and arrive at your location safely. Just enter your destination and go! MyMapsTab – How is It Different? MyMapsTab uses the latest maps and directions technology in the market. Once you enter in your locations, you can trust that we will display the fastest route with turn by turn directions. Never get lost again with quickmaps on your side. Getting where you need to go has never been easier with accurate turn-by-turn directions at your fingertips. Find any location on the planet with ease. Advanced map options allow you to see road maps, satellite images, and even a birds-eye view. 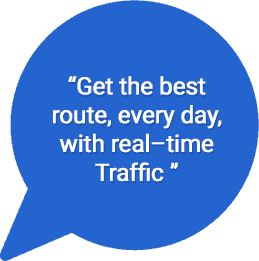 Get real-time traffic updates. Check the traffic to your destination before you leave & never get stuck again!